Matthew's Gospel is a substantial book to consider teaching through - its large sections of teaching and theological reflection seeming to predominate over the 'action' of the story. However, precisely because there are such rich seams of theology, and so much teaching from Jesus himself, it is a wonderful treasure-trove. It also excels as a way of explaining the message of the New Testament gospel emphasising a sense of its continuity with the whole Old Testament, and the fulfilment of God's covenant promises in Jesus Christ. This is not an exhaustive exposition of the Gospel. 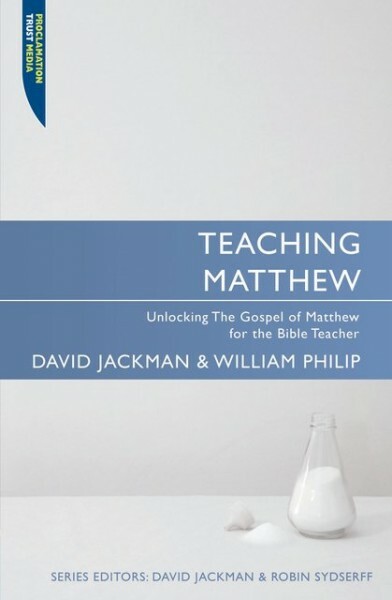 The major focus is on Matthew's five great teaching sections. It is not intended to take the place of commentaries but complement them, as few commentaries seem to be written with the sermon (or Bible exposition) as the point of reference that is being worked towards.